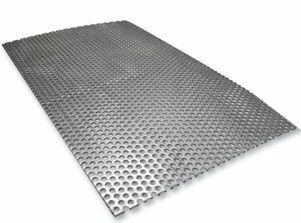 Grade 316 Stainless Steel Shim Sheets Exporters, SUS 316L SS chequer (floor) Plate, Steel 316/316L Coils, Stainless Steel 316 Sheets, SS TP316L Plates, AISI Steel 316 Perforated Sheet Suppliers, ASTM A240 SS TP316 BA finish cold rolled Coil Manufactures, ASME SA240 SS 316L Plain Sheets, 316 Austenitic stainless steel Chequered Plates Stockholders in Mumbai India. 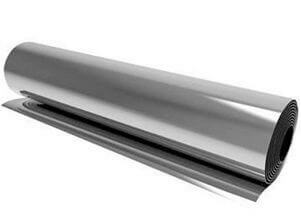 UNS S31600 Stainless Steel Polished Sheet Stockists, SS 316 Hot rolled (HR) Plates, SS 316L Slit Coils, Type TP316 Stainless Steel 2B finish decorative Sheets, No. 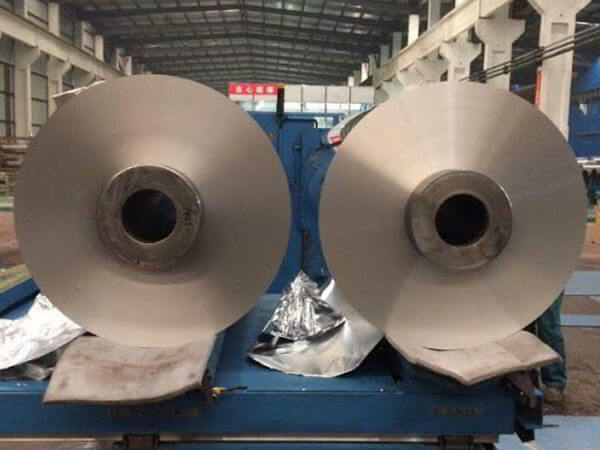 8 Mirror Finishes Stainless Steel 316L Plates, UNS S31603 Cold rolled (CR) Sheets Dealers in India, SS TP316L Coil, DIN 1.4401 / 1.4436 Mill Finished Plates Distributors in Mumbai. Renine Metalloys is a known exporter of SS 316 / 316L Sheets and Plates, where post-weld annealing is not required when welding thin sections. 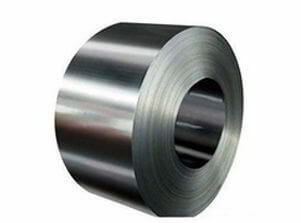 Stainless Steel 316 Sheets is a chromium-nickel-molybdenum austenitic stainless steel developed to provide improved corrosion resistance to Alloy 304 / 304L in moderately corrosive environments. Stainless Steel 316 Plates is often used in biomedical implants, chemical processing, pharmaceutical, textile finishing, food processing, photographic, marine exterior trim, etc. The main advantage of Stainless Steel 316 Coils over grade 304 is its increased ability to resist pitting and crevice corrosion in warm chloride environments. 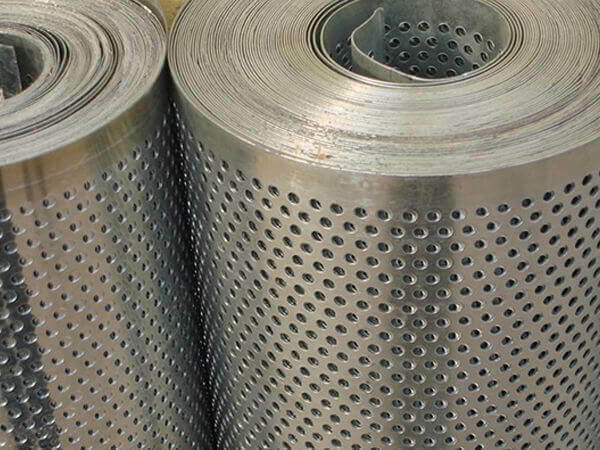 Stainless steel cylinders and tanks are manufactured in 316 Stainless Steel Sheets Plates, have proved to offer exceptional resistance in acidic and hard water areas. The low carbon chemistry of Stainless Steel 316L Sheets combined with an addition of nitrogen enables the alloy to meet the mechanical properties of Alloy 316. 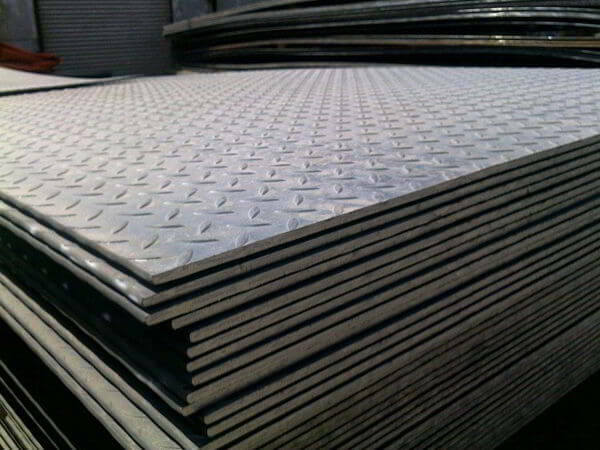 Stainless Steel 316L Plates is often used in Oil & petroleum refining equipment, Food processing equipment, Aerospace Structures, Pulp and paper processing equipment, etc. 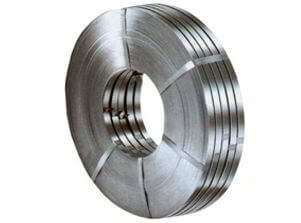 As it is the lower carbon version of Grade 316 and is immune from sensitization; therefore, Stainless Steel 316L Coils is very frequently used in heavy gauge welded components. 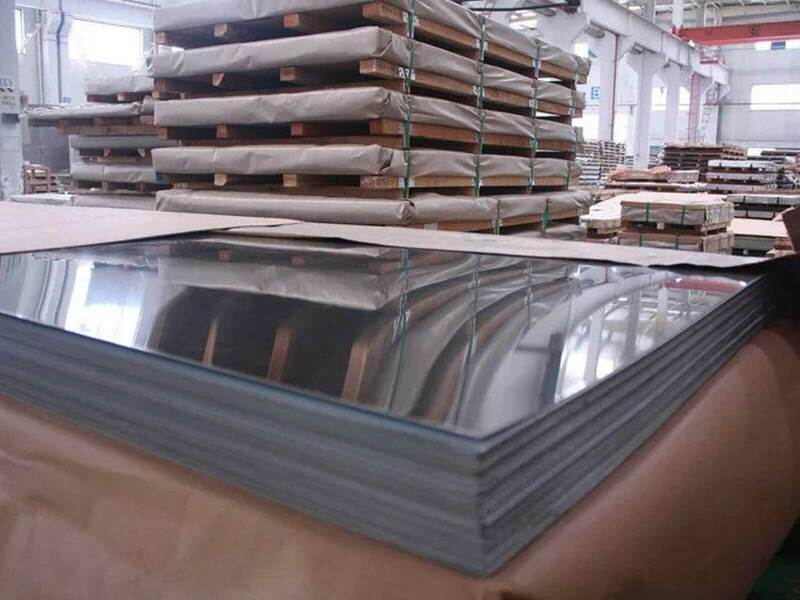 316L Stainless Steel Sheets Plates, as the low carbon version, is preferred in corrosive environments, but even though it has less carbon, it is very similar to SS 316 in almost every way. 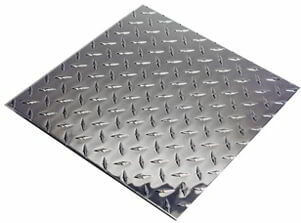 Stainless Steel TP 316 Blanks, SS 316L Flats, SUS 316 Steel Diamond Plates, SS 316 Strips Traders, ASME SA240 Stainless Steel 316L Embossed Sheets, DIN 1.4404 / 1.4435 Foils Stockyards, ASTM A240M SS 316 Coils, SS 316L Circles Suppliers in Mumbai, 316 Stainless Steel Rings, SS 316 / 316L Sheet Exporters in India. 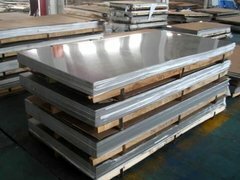 ASTM A240 Stainless Steel Sheets Plates and Coils, Grade 316 / 316L Austenitic stainless steel Sheet Plate & Coil Stockholders, Stainless Steel 316 Sheet, Stainless Steel 316L Plates, Stainless Steel 316/316L Coils, SS 316 Sheets, SS 316L Plates, SS 316 Coils Suppliers, AMS 5519 Stainless Steel 316 Sheets, ASTM A666 Cold-Worked Austenitic Stainless Steel Plates Dealers in Maharashtra, SS 316L Hard Tempered Coils Stockists, 316 Full Hard Tempered Stainless Steel Sheet & Plate, UNS S31600 Shim Sheets, UNS S31603 Plain Sheets, SS TP316 Chequered Plates, Alloy 316L Coils, Cheap 316 SS Cold Rolled Plates wholesaler in Charni Road, ASME SA240 Steel 316L CR Sheets Manufactures, Stainless Steel TP 316/316L Perforated Sheets, AISI 316 Stainless Steel No.8 Mirror Finish Sheet Coil Traders in C.P.Tank Road, Stainless Steel Sheets, SS Sheets, Stainless Steel Plates, SS Plates, SS Coils, Stainless Steel Coils, SS TP316L No.4 Finish sheets, Alloy 316 Rolled Floor Plates Stockists in Mumbai, Steel SUS 316 HR Hot Rolled Coils, SS 316L Mill Finished Sheet, Buy Grade 316 SS Bright annealed BA Finish Sheet, TP 316 Stainless Steel 2B Finish Coils, SUS 316L Slitting Coils, SS 316 Cold Rolled CR Coil Exporters in India, DIN 1.4404 / 1.4435 Floor Plates, DIN 1.4401 / 1.4436 Diamond Plates, Low price SS 316 Decorative Sheet Plates, PE or PVC coating surface Finish Stainless Steel 316L Sheets Stocks, #4 Polish Finish SS 316 Coils, #8 Mirror Polish Finish Stainless Steel 316 Plates, Type 316 Half Hard Stainless Steel Coils, SS 316L Slit Coils, Steel 316L embossed Plates Vendors, SS 316 hair line surface finish Sheets, sand blast Finish Stainless Steel 316L Plate, Brush Finish SS 316 Sheets Stockyards, ASTM A240M Cold Rolled (CR) Stainless Steel Coils, ASME SA240 SS 316L Strip Manufactures in Mumbai, Steel 316 Foils, SS 316 HR Coils, Stainless Steel TP316 Circles, SS 316L Rings, Stainless Steel 316/316L Blanks, SS 316 Flats, SS TP316L Profile, 316 Stainless Steel Rolls, ASTM A240 Stainless Steel 316L One side Polished Sheets, 316 SS Both Side Polished Sheet and Plate, SS 316/316L Bead Blast Finish Sheets Exporters in Mumbai India.